A recent comment from U.S. president Barack Obama has lead to a question about the value, versus the cost, of post secondary education. This week we hear the arguments for and against free tuition here in Canada. A recent comment from U.S. president Barack Obama has lead to a question about the value, versus the cost, of post secondary education. He proposed that the first two years of community college should be free for American students wishing to further their education. Here in Canada, where the social safety net is considered more sturdy than in the States, we have many supports for those who wish to take vocational or academic instruction beyond high school, but have not gone as far as all-out free tuition. 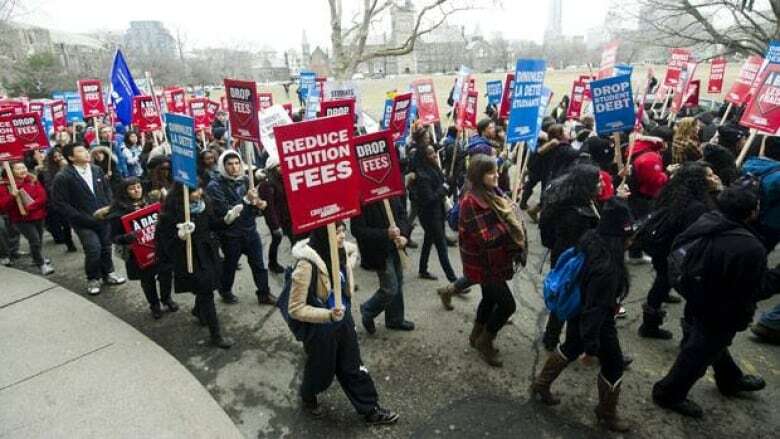 This week we hear the arguments for and against free tuition for Canadians. Jessica McCormick of the Canadian Federation of Students will speak for the Yes side, while Ben Eisen of the Atlantic Institute for Market Studies speaks for the No side.